This photo from Muvmedia.com illustrates the concept. 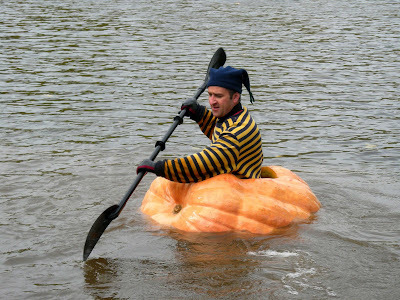 The 2009 Giant Pumpkin race in Becancour race is today! Here's our report from 2008. We think this is an amazing event, even if bikes are not involved.